If the dog is healthy and in good spirits, her coat shines, there is an appetite, the stool is regular, breathing is even, all mucous membranes are clean. This refers to a cursory inspection of the pet’s appearance. The main physical indicators of a healthy animal are as follows: temperature within 100 – 102 °F, pulse rate: 70-90 beats per minute in large breeds, 90-110 in small and medium-sized adults, 110-130 in puppies and small dogs. Respiratory rate, respectively, 14-16 breaths per minute in elderly and large dogs, 16-18 in adult representatives of small and medium breeds, 18-20 in small dogs and puppies. Sick animal looks different. The dog loses activity, begins to seek solitude and may even not come to the owner on the first call. She eats without hunting, but she can drink a lot. The most obvious signs are diarrhea, frequent urination, vomiting, purulent discharge; mucous membranes become uncharacteristic in color, either turning pale or going yellow or blue. Wool – one of the most visible indicators of a dog’s health – becomes dull. Most likely, the suffering pet will change the temperature, pulse rate and respiration. You can verify this yourself. The presence of heat in a dog is determined rectally with a thermometer (it is recommended to use an electronic one), which must be kept in the animal for 3-5 minutes. The number of breaths, breaths is convenient to consider the movement of the chest or wings of the nose. The pulse is determined by the heartbeat, which is felt both on the left side of the chest just below the scapula, and on the inside of the thigh, where the femoral artery passes. After making sure your pet is sick, do not try to diagnose it! This task will be solved more precisely by a veterinarian, who, it is possible, will need to take a series of tests from the dog. But the disease is easier to prevent than to cure. 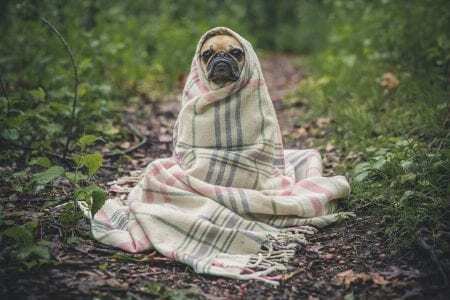 How to make the dog stay healthy and not feel unwell? Take care of the pet should be from the first days of its appearance in your home. First of all, make a visit to the vet. If you have brought a puppy, and not an adult animal, the doctor will not only conduct a general examination of it, but also draw up a plan for vaccinations for the young dog. Remember: vaccination is the most reliable way to protect an animal from infections. It is recommended to visit a veterinarian with a dog 2 times a year. Regular examinations of an animal help to detect in advance any abnormalities in its health from the norm and, in particular, to diagnose serious illnesses at an early stage. It should be added that sometimes a veterinarian needs to conduct an additional examination of the dog: collect tests, conduct an echocardiography. Do not be afraid of them. And finally, some basic tips on how to monitor your pet and notice the slightest change in its condition. Regularly care for the animal’s hair with special combs, at the same time paying attention to the condition of the skin – whether there are any tumors on it (this is critical for older animals located in oncology). It is important to teach the dog to quietly carry this procedure from childhood. If the dog is smooth or hard-haired, brush it only by hair growth, if long-haired – first against, and then in the direction of growth. Care for your pet’s teeth. Necessary advice on cleaning the oral cavity you will give a veterinarian. Do not ignore special treats for dogs that help owners care for their teeth and gums, reducing plaque formation by up to 80%. Brush your pet’s ears – for this optimum cotton swabs. And that’s not all, sometimes you have to cut off excess vegetation in the ears. If you notice inflammation of the dog or signs of infestation by parasites – immediately consult a doctor. Pay attention to the dog’s eyes – they should be clear and clean, without uncharacteristic discharge. In the same way, clean and without discharge, should look like a dog’s nose. Even if it is dry, and no other signs of indisposition in the animal are detected, it is not terrible. Dog’s claws should be trimmed from time to time with a special claw cutter. It will be better if the details of this case are first demonstrated to you by a veterinarian. The entire dog should be washed as it gets dirty. It is usually enough to simply wipe her paws after a walk. Do not forget to get a flea collar – it is especially relevant in the spring, summer, autumn. And, of course, carefully monitor the dog’s diet. Homemade dishes can harm the health of the pet. But in balanced ready-made food there are all the elements necessary for the full life of the dog.